A drink-driver caught at a fatal crash road closure had been downing alcohol after he had 11 teeth out and had had no food, a court heard. Car valeter Kieron Walker (33) appeared to try and reverse away from the scene in Cliviger when spotted by police, but was pulled from his car. When he was tested, he blew 67 microgrammes of alcohol in 100 millilitres of breath. The legal limit is 35. Mrs Alex Mann (prosecuting) said at about 5pm, police had blocked off Burnley Road, after a fatal collision. They saw the defendant's vehicle travelling down the road quite quickly and were concerned. Walker then stopped quite abruptly and appeared to try and reverse away. Mrs Mann said: "An officer prevented the defendant from doing that by pulling him out of the vehicle. He was taken to the police station and breath-tested. There were cans of alcohol in the vehicle." Walker had no relevant previous convictions. Mr David Norman (defending) said the day before, Walker had had an operation on his mouth. He had 11 teeth removed and was unable to eat. He decided to drink. The defendant had a disagreement with his girlfriend and left. The solicitor continued: "He works full-time as a car valeter, but he needs his licence to do that. He won't actually lose his employment, but he will be demoted from a team leader and his salary is going to be drastically reduced." Walker, of Halifax Road, Todmorden, admitted driving with excess alcohol, on March 16th. 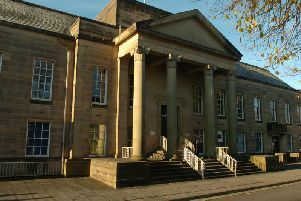 He was fined £120, with £85 costs and a £30 victim surcharge and was banned for 18 months.